A historic Borders Cricket Club is set to see facilities upgraded, with the help of a £6,000 grant from Banks Community Fund. Hawick and Wilton Cricket Club, which was established in 1849 was successful in its application for funding, which will go towards modernising male and female changing and shower facilities, with a specific focus on encouraging more girls and ladies to participate in local sport. The upgrades will coincide with an overarching redevelopment, which has seen around £30,000 spent on new purpose-built all-weather wickets. Officials at the club are delighted with the grant, which will help the club to modernise whilst continuing to offer high level coaching for various sports. Craig Macdougall, project development manager at Hawick and Wilton Cricket Club said: “The club is a real community hub and also provides sporting facilities and opportunity for all schools in the Hawick catchment area. “It is therefore vital that we are able to upgrade the changing and shower facilities so that they are in line with the high standards expected of the club – and still be able to direct funding towards training and coaching for our team of volunteers. Banks Community Fund is a charitable fund set up by the Banks Group, the Hamilton-based property and renewable energy business and has been used for everything from church hall repairs to community garden schemes while charities, youth groups and voluntary organisations have also benefited. Banks Renewables is awaiting a decision on its planning application to construct a 60MW, 15 turbine wind farm at its Birneyknowe site, between Hawick and Bonchester Bridge. If approved, this would create local investment of around £4.7 million over the 25 year life cycle of the wind farm. In addition to providing green energy, Banks Renewables strive to provide communities that host its wind farms with benefits that will make a meaningful, positive and lasting difference to the lives of those living closest to the sites – such as the support granted to Hawick and Wilton Cricket Club. Craig added: “I have been particularly impressed with Banks’ commitment to Scottish Borders businesses and communities. Once operational Birneyknowe Wind Farm could contribute up to £300,000 a year into a community fund, with local people agreeing the priorities for where the money should be invested. Similar projects delivered by Banks have resulted in job creation initiatives, provision of community infrastructure, delivery of major environmental projects and direct funding into community groups. 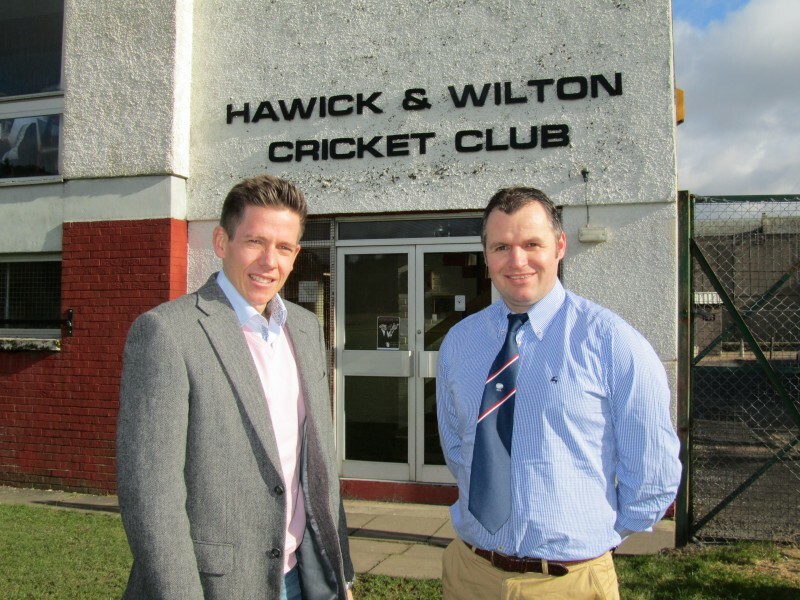 Mark Dowdall, environment and community director at Banks Group, said: “Hawick and Wilton Cricket Club is clearly a key social hub for its members and the wider community. “We are delighted to support the club through the Banks Community Fund as it will help to secure the clubs’ future and focus funds on other aspects, such as putting coaches through training courses and ensuring exceptionally high standards of sporting tuition. You can support this important project, which will bring precious jobs, investment, and clean green energy to the Scottish Borders area, by going to: http://www.banksgroup.co.uk/birneyknowe/support-this-project/ now! It only takes a few seconds.